Are Bones Safe or Healthy for Dogs? Generally, bones are not safe or healthy for dogs. Most bones are dangerous for dogs because they can cause several health problems. While not all pet experts agree on this topic, most veterinary health professionals can tell you plenty of bone-related horror stories. The longtime assumption that bones are appropriate canine treats is off track. First of all, cooked bones are NEVER appropriate. Raw bones, on the other hand, are a subject of debate because they are softer and potentially more digestible. However, raw bones are not without risk. Take a look at the following potential complications associated with bones and dogs. These problems can occur in dogs after eating bones, even if they are raw bones. Fractured teeth – Bones are hard enough to cause your dog’s teeth to crack, sometimes necessitating root canals or tooth extractions. Oral injuries – The sharp edges of bones can cut your dog’s gums, tongue, and other oral mucous membranes. Not only is this painful for your dog, it can also get pretty messy. Bones can also get stuck in the mouth, particularly between the molars of the lower jaw. Airway obstruction – All or part of the bone can slide down the throat and become stuck, blocking the airway and causing your dog to choke. Gastrointestinal complications – Bones passing through the digestive tract can cause serious damage. A piece of bone can become lodged in the esophagus, stomach or intestines. In most cases, emergency surgery is needed to remove the bone. If the bones do not get stuck, they can cause irritation while passing through the GI tract. At the very least, vomiting, diarrhea or constipation can occur. However, fragments can actually poke through the lining of the esophagus, stomach, intestines, and colon. This is a life-threatening situation. Sure, dogs love bones, but it doesn’t mean they should be allowed to eat them. The risks associated with feeding bones to dogs apply to bones from all kinds of animals, whether they are raw or cooked. However, the risks are highest with cooked bones, especially those from poultry because they tend to splinter. Animal hooves and antlers can be equally dangerous. The size of your dog is not necessarily a factor either; any type of dog can be affected. However, small dogs eating large bones are obviously at a greater risk. The bottom line: even if you have given bones to your dog in the past without complications, it does not mean that everything will turn out fine the next time you feed a bone. Is it really worth the risk? Chewing is instinctively necessary for dogs. 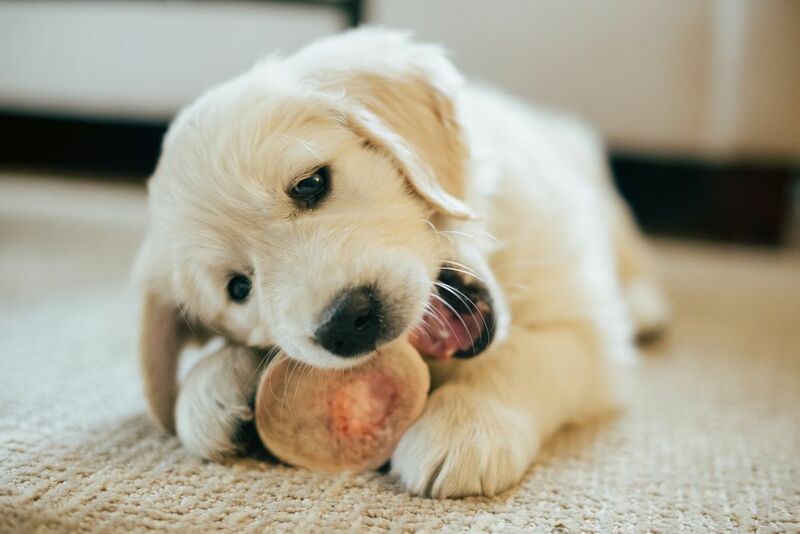 To help satisfy your dog's need to chew, look for safer alternatives to bones. No matter what you give your dog to chew on, ALWAYS be certain that you supervise your dog. If you wish to feed your dog raw meaty bones, talk to your vet about raw turkey necks. Not all experts agree that they are safe, but they are comprised mainly of cartilage and soft bones and, therefore, may be considered digestible (only when raw). Specially made dog toys, dental chews, and other dog treat varieties can be excellent ways to satisfy your dog's need to chew. Again, be sure to talk to your veterinarian about the best options for your dog. Use caution when discarding bones that are left over from food. Your best bet is to take them directly to the outside trash (provided it is out of your dog's reach). Treat bones as you would all other foods that are toxic to dogs. If you suspect your dog has experienced a bone-related complication, contact a veterinarian immediately.